Since first introduced there have been several different variations of this design with different methods of contruction. Originally designed for the home builder, many were sold as kits. The first SILHOUETTE models built of plywood as were the earlier MkII models (1959) Later Mk IIs (1959) were GRP while the Mk III was moulded by Hurley Marine to a revamped design. The central ballast stub was removed, draft and sail area increased. 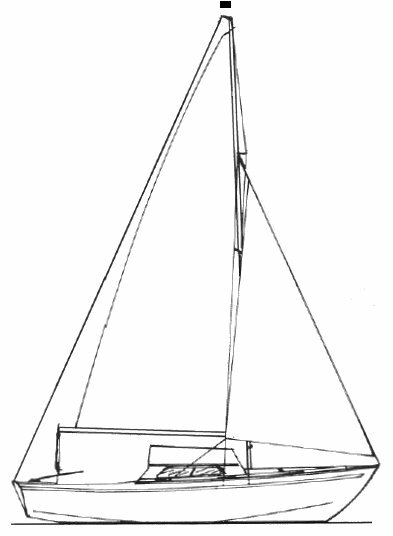 A fin keel version was available but the vast majority had twin keels. The Mk 4, built by Varne Marine, added two bunks. See the class website for more details. See SILHOUETTE MKII. Of all the different versions, it is thought that at least 3000 have been built.